Be honest. Tell me how you you really feel. What's your take? By now, you have likely developed an opinion on Conor McGregor. Just a scan of the internet these days, you won’t find a single boxer, MMA fighter, or coach in either sport who hasn’t given their two cents on the fight and the man. A cross-section of these opinions is about as diverse as McGregor’s verbal repertoire or Floyd Mayweather’s car collection. The breadth of opinion is diverse yet the feeling is distinctly negative or positive. You love him or you hate him. If McGregor’s public reception is a heatmap, McGregor’s would look a lot more like this than this. Like McGregor himself, there is very little room in the public discourse for shades of grey. 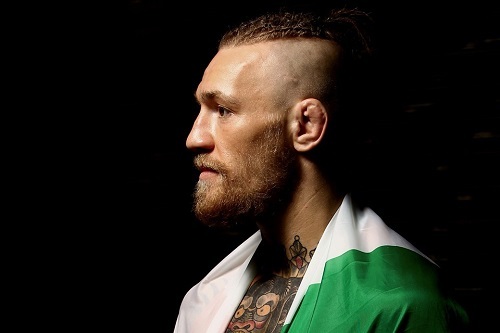 In the end, McGregor is all of these things – not just one of them. As the saying goes, the truth is somewhere in between. It’s finding that middle that McGregor has kept us guessing at.